Specially designed for sensitive teeth, Aquawhite Spa toothbrush has silky soft bristles which help you achieve good oral care. With its mouthful of bristles, the Aquawhite Spa toothbrush leaves behind a spa-like feeling and the tongue cleaner on the toothbrush helps keep your breath fresh throughout the day. 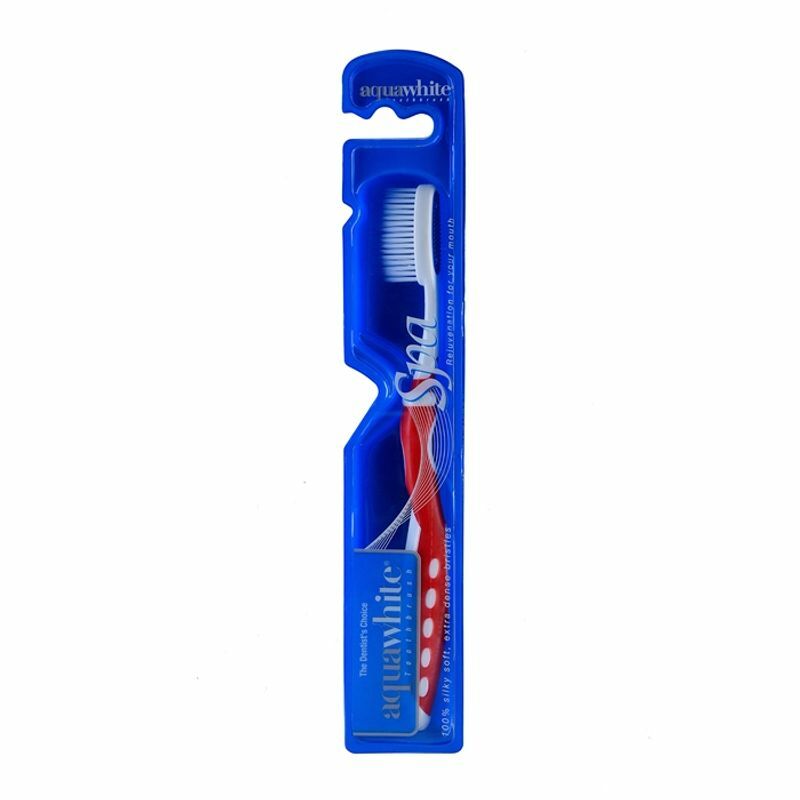 It also gives relief to your mouth from bleeding gums with its comfortable and smartly designed handle which helps keep a firm grip on the toothbrush while brushing your teeth. This is why Aquawhite is the most trusted toothbrush brand amongst dentists.